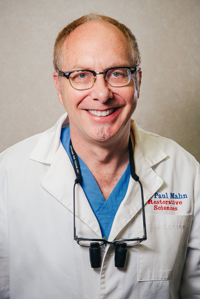 Dental Staff - West Allis, WI - Paul R. Mahn D.D.S., S.C.
All our professionals at Paul R. Mahn, DDS, SC maintain the highest levels of accreditation and pursue ongoing education to stay abreast of the latest trends in dentistry. Dr. Paul Mahn follows a family tradition of dentistry that began in 1954 when his father, Dr. Ronald Mahn, began practicing in West Allis after service in the Navy. Dr. Paul Mahn joined his father in the practice in 1984, after graduating from Marquette School of Dentistry. Dr. Paul did his undergraduate study in Art And Biology at the University of Wisconsin, Madison. While practicing with his father, he taught at Marquette University school of Dentistry for 20 years. For six years, Dr. Mahn was the Editor of the Journal of the Wisconsin Dental Association, and many of his editorials were syndicated by the American Dental Association. Not only a practicing dentist, Dr. Mahn is a professional musician. He plays 5- string banjo, among other instruments. He has toured with country rock and bluegrass bands and has 8 recordings and many commercial projects to his credit. Dr. Mahn's spare time is filled with magic. He is a magician and member of Hollywoods's Magic Castle. Dr. Mahn is a People's Choice award winner, from the Society of American Magicians and two time champion in Close-Up Magic. Member, American Dental Association, Wisconsin Dental Association, GMDA. 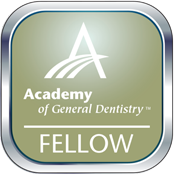 Over 1,150 Credit Hours in Continuing Education in every dental discipline.